A digital grade 3mm White FREE SHEETS for you to print "colorful" patterns or scenes along with your logo, address, phone, email, on these 24"x24" sheets. These panels will be "free" advertising for you as the panels will be taken to trade shows where they will be prominently posted . we'll supply you 4 sheets 2'x2' and we will pay for shipping to and from. 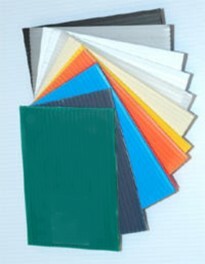 InteFoam® is an expanded PVC foam board with a matte finish. It is lightweight, durable, chemical resistance, fire retardant capabilities and available in a variety of colors in 3mm and 6mm, gauges ranging from 1mm to 25mm (1/32 to 63/64). InteFoam® is an excellent substrate for point-of-purchase displays and signs, and is the substrate of choice for screen-printing and digital printing. Features a consistently smooth and abrasion resistant surface for easy paint and excellent ink adhesion produces sharp, vivid colors  a printed image of superior quality! It can be thermoformed and has a variety of applications in sign, marine, and graphic arts industries. InteFoam can be heat bent, routed laminated, pressure or vacuum formed in a variety of shapes and configuration for those challenging displays shapes or promotional material. When using vinyl lettering, the bonding is excellent due to the molecular reaction (vinyl to vinyl) between the lettering and the InteFoam® surface.